Create Your Own Fireworks Now! 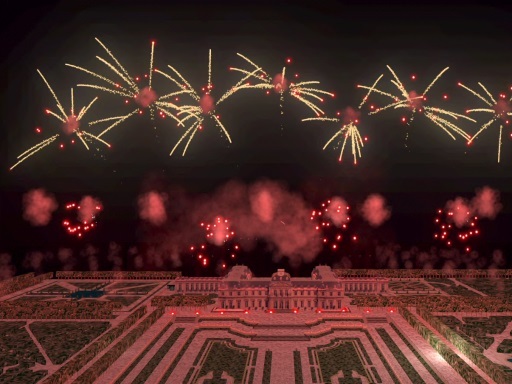 FWsim is a fireworks simulator. 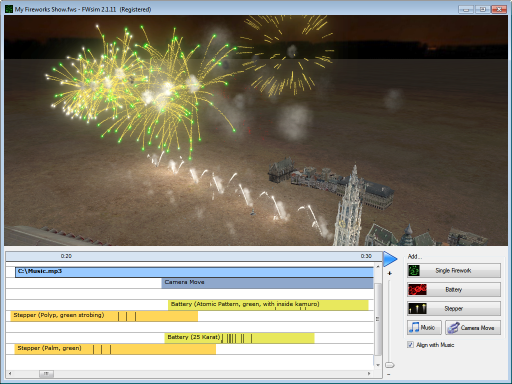 The standard edition is designed as a fireworks game. There is also a professional edition available, designed for fireworks companies and pyrotechnicians. FWsim is free to try for 4 hours. The full version costs €24.95 / $24.95. Your purchase is secure and risk-free, thanks to our 30-day money-back guarantee. Microsoft Windows 2000, XP, or later. A graphics card from 2003 or newer with 64 MB RAM. Radeon X300, X550, X600, X1000 and X1150 are not supported. Some on-board graphics chips (for example, "Intel HD") are not supported either. At least 1024 MB of system RAM. Monitor resolution at least 1280 * 1024 recommended.